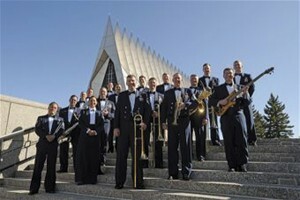 The public is invited to bring blankets and chairs to listen to a free concert by the talented Air Force Jazz Ensemble performing patriotic and jazz favorites. This concert will be held in the Memorial Courtyard on the grounds of the National Museum of the Pacific War, 340 E. Main St., at 7:00 p.m. this Friday, July 8 in Fredericksburg. For information, call 830-997-8600.